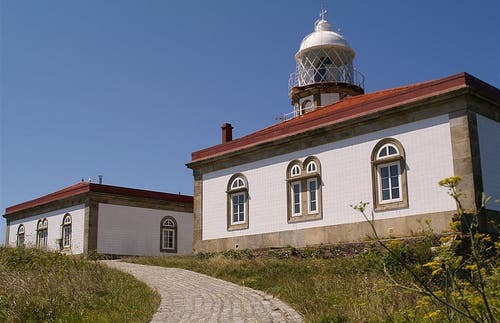 Ons Lighthouse is more than 120 meters high on the summit of Mount Cucarno, the highest point of the island, and was climbed for the first time in April 1865. It worked for thirteen years with an olive oil lamp, which was changed to oil with a wick. The Reform Plan of 1902 meant the construction of a new tower, to give the U-shaped feature of many lighthouses. The tower was demolished in part and an octagonal tower was constructed to house the new torch of 3.70 meters in diameter. The lighthouse was opened in July 1926 and siding tiles were added in 1932 to protect it from bad weather. The flashlight now has a range of 24 miles, with four lightning flashes every 24 seconds.